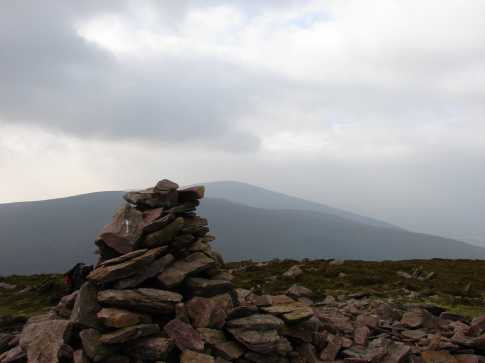 Start at the Vee, where there is lots of room to park safely by the roadside, and head up the rough, often boggy track past the Grubb monument (large stone cairn by the roadside), to the summit. 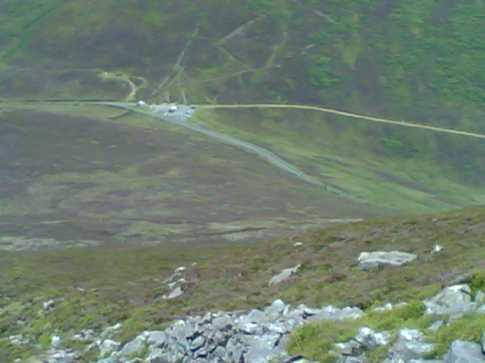 You can also park in Bay lough carpark S031 101 A, cross the main road and follow the steep rocky track, keeping the stone wall to your left to the top of the Sugarloaf. Picture from csd : Knocknalougha and Knockshanahullion from the summit of Sugarloaf Hill. 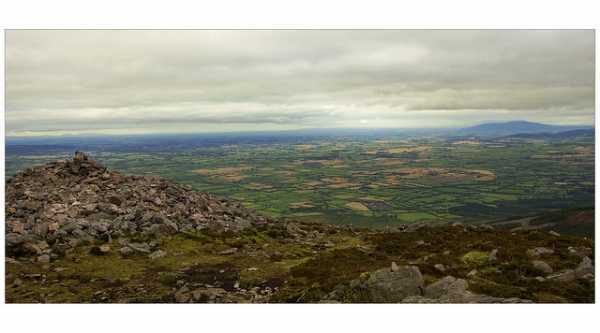 Picture: Knocknalougha and Knockshanahullion from the summit of Sugarloaf Hill. Looking back on the Sugarloaf along by the county wall towards Knockmoylan. Bank Holiday Monday last was my first trip to the Knockmealdowns. 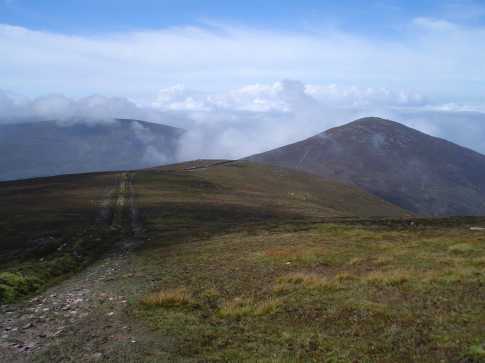 I decided to start with Sugarloaf Hill and make my way across to Knockmealdown and beyond. I am unfamiliar with this area, but using map no.74 I found the carpark on the R668 at S 031 100 B. Across the road from the carpark a track heads directly up Sugarloaf Hill. This is very steep in places and a punch in the belly after a nearly three hour car journey! I met an elderly man running down and I proudly told him that I was struggling but making progress. He congratulated me on my ‘fitness’ before informing me he had run up this way earlier, had run across the range and was on his way back. My Hour of Shame! My photo shows the carpark from near the summit of Sugarloaf Hill and gives a sense of the height gained in such a short distance. The summit arrived surprisingly quickly after about 45 minutes. I was lucky with the weather and had great views in all directions. I spent some time with my maps identifying what I could see in the distance (the Galtees, the Comeraghs) as well as the nearer mountains of the Knockmealdowns themselves.